Antihistamine Therapy for over the counter medications for wasp or bee stings in dogs. Has you dog been stung by wasps? 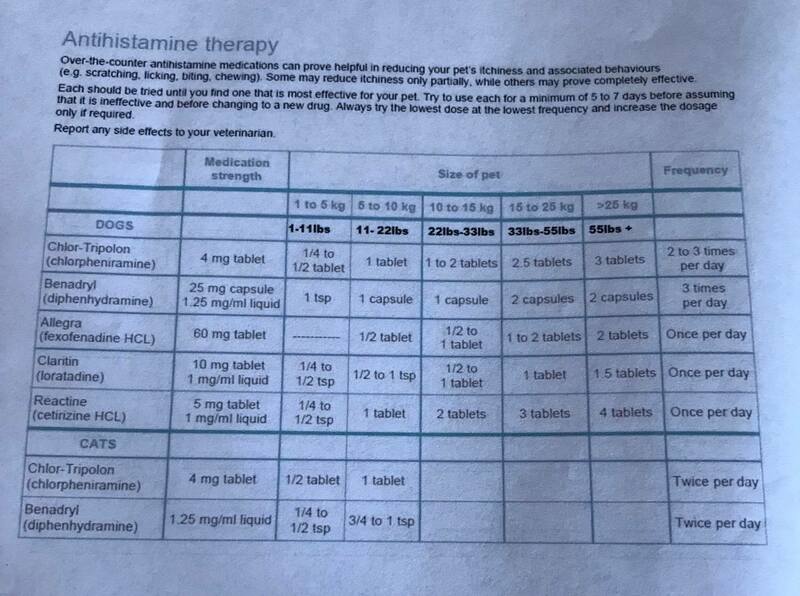 The dosage of antihistamine drugs for use in easing sting discomfort is in this chart.